Gordon's Bay is located on a steep mountainside, about 45 minutes from Cape Town. The town has a distinctly Mediterranean, holiday-like feel about it, with beautiful houses built against the mountain and rows of shops and restaurants lining the road opposite the beachfront. 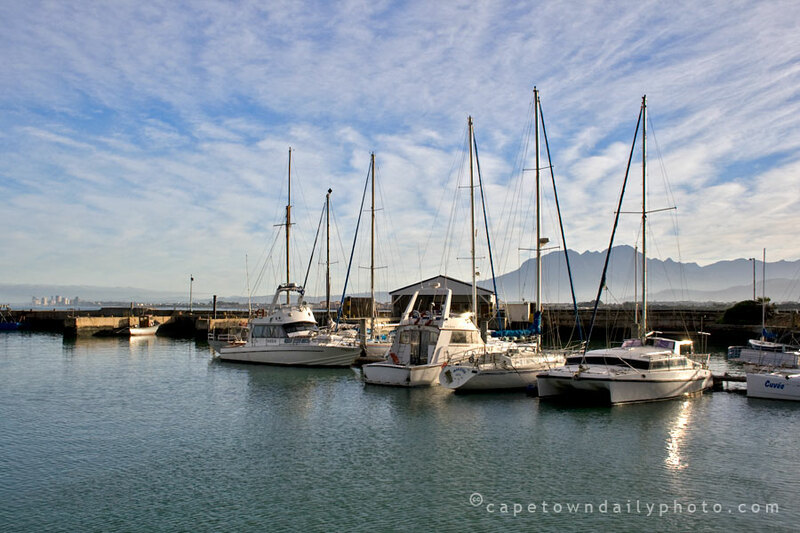 At the request of the fishing community, a harbour was built in Gordon's Bay in the 1930s; eventually, in the 1950s, permission was given for yachts to be moored here as well. The buildings in the background of this shot are part of the South African Naval College, which was formally established in 1966. Posted in General on Tuesday, 17 June, 2008 by Kerry-Anne.